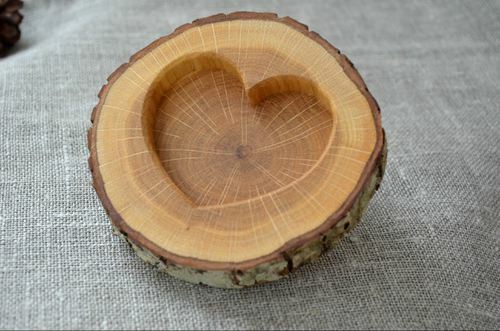 This rustic wood ring holder is made of natural oak. 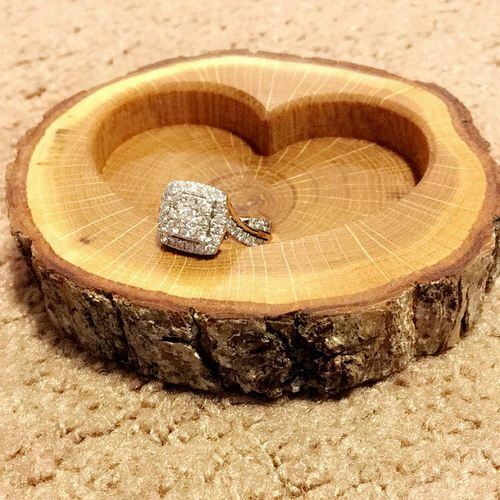 The solid round wood slice will be a perfect rustic ring bearer pillow on your wedding day. 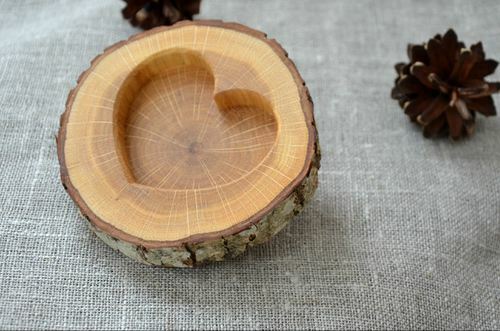 The rings can be placed in a "pocket" made in a shape of a heart. 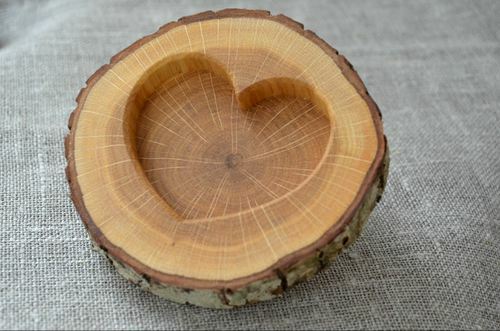 Perfect for St.Valentine's Day gift or a wedding proposal. The coasters are approx. 3.8 inches (9 cm) in diameter and 0.7 inches (1.5 cm) thick. The ring holder will be polished with all natural beeswax polish. Please note that the rings are not included in the price. They are just a photo prop!